UK smoking signs 300 x 250 mm no smoking self adhesive vinyl labels. UK smoking signs - 300 x 250 mm no smoking self adhesive vinyl labels. UK smoking signs 300 x 250 mm no smoking 1.2 mm rigid plastic signs. UK smoking signs - 300 x 250 mm no smoking 1.2 mm rigid plastic signs. UK smoking signs 300 x 250 mm no smoking 1.2 mm rigid plastic signs with s/a backing. UK smoking signs - 300 x 250 mm no smoking 1.2 mm rigid plastic signs with self adhesive backing. UK smoking signs 150 x 125 mm no smoking flammable storage self adhesive vinyl labels. UK smoking signs - 150 x 125 mm no smoking flammable storage self adhesive vinyl labels. UK smoking signs 150 x 125 mm warning flammable no smoking no self adhesive vinyl labels. UK smoking signs - 150 x 125 mm warning flammable no smoking no self adhesive vinyl labels. UK smoking signs A5No smoking flammable storage area self adhesive vinyl labels. UK smoking signs - A5 no smoking flammable storage area self adhesive vinyl labels. UK smoking signs 100 x 250 mm no smoking flammable storage self adhesive vinyl labels. UK smoking signs - 100 x 250 mm no smoking flammable storage self adhesive vinyl labels. 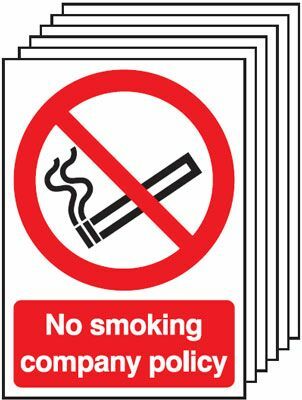 UK smoking signs 150 x 125 mm no smoking flammable storage 1.2 mm rigid plastic signs. 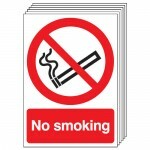 UK smoking signs - 150 x 125 mm no smoking flammable storage 1.2 mm rigid plastic signs. UK smoking signs A5No smoking flammable storage area 1.2 mm rigid plastic signs. 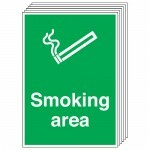 UK smoking signs - A5 no smoking flammable storage area 1.2 mm rigid plastic signs. 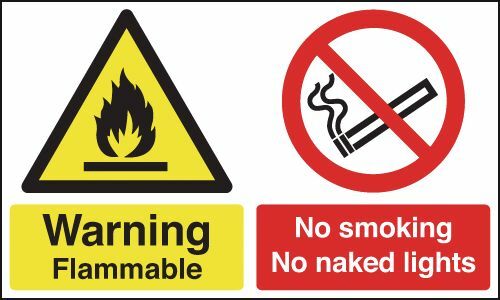 UK smoking signs 150 x 125 mm warning flammable no smoking no 1.2 mm rigid plastic signs. UK smoking signs - 150 x 125 mm warning flammable no smoking no 1.2 mm rigid plastic signs. UK smoking signs 350 x 250 mm no smoking flammable storage self adhesive vinyl labels. UK smoking signs - 350 x 250 mm no smoking flammable storage self adhesive vinyl labels. UK smoking signs 150 x 125 mm no smoking flammable storage 1.2 mm rigid plastic signs with s/a backing. 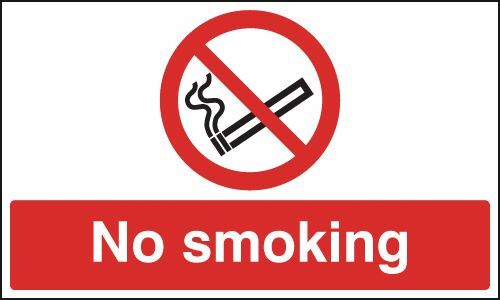 UK smoking signs - 150 x 125 mm no smoking flammable storage 1.2 mm rigid plastic signs with self adhesive backing. UK smoking signs 300 x 500 mm warning flammable no smoking no self adhesive vinyl labels. UK smoking signs - 300 x 500 mm warning flammable no smoking no self adhesive vinyl labels. UK smoking signs 350 x 250 mm no smoking flammable storage 1.2 mm rigid plastic signs. 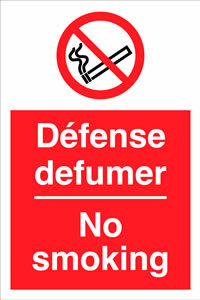 UK smoking signs - 350 x 250 mm no smoking flammable storage 1.2 mm rigid plastic signs. UK smoking signs 100 x 250 mm no smoking flammable storage 1.2 mm rigid plastic signs with s/a backing. 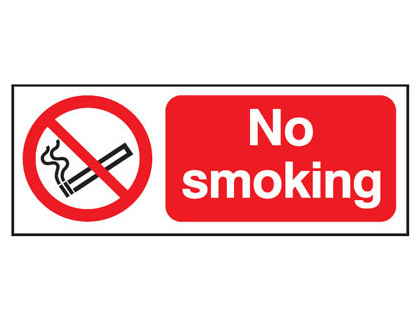 UK smoking signs - 100 x 250 mm no smoking flammable storage 1.2 mm rigid plastic signs with self adhesive backing. 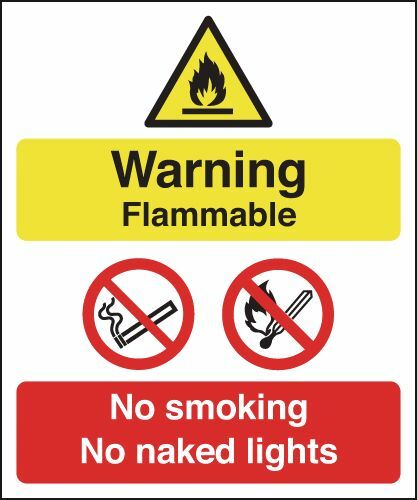 UK smoking signs 150 x 125 mm warning flammable no smoking no 1.2 mm rigid plastic signs with s/a backing. 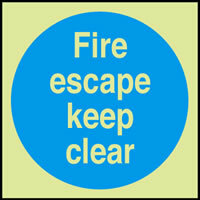 UK smoking signs - 150 x 125 mm warning flammable no smoking no 1.2 mm rigid plastic signs with self adhesive backing. UK smoking signs 400 x 600 mm warning flammable no smoking no self adhesive vinyl labels. UK smoking signs - 400 x 600 mm warning flammable no smoking no self adhesive vinyl labels. UK smoking signs 400 x 600 mm highly flammable no smoking self adhesive vinyl labels. UK smoking signs - 400 x 600 mm highly flammable no smoking self adhesive vinyl labels. UK smoking signs 300 x 500 mm warning flammable no smoking no 1.2 mm rigid plastic signs. UK smoking signs - 300 x 500 mm warning flammable no smoking no 1.2 mm rigid plastic signs. UK smoking signs 450 x 600 mm warning flammable no smoking no self adhesive vinyl labels. 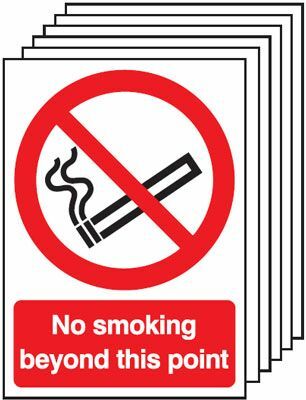 UK smoking signs - 450 x 600 mm warning flammable no smoking no self adhesive vinyl labels. UK smoking signs 400 x 600 mm warning flammable no smoking no 1.2 mm rigid plastic signs. UK smoking signs - 400 x 600 mm warning flammable no smoking no 1.2 mm rigid plastic signs. UK smoking signs 450 x 600 mm warning flammable no smoking no 1.2 mm rigid plastic signs. 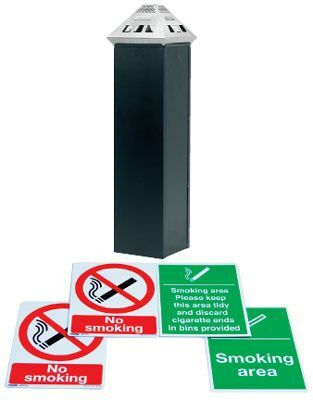 UK smoking signs - 450 x 600 mm warning flammable no smoking no 1.2 mm rigid plastic signs. 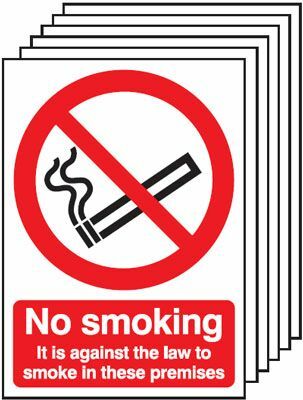 UK smoking signs 400 x 600 mm highly flammable no smoking 1.2 mm rigid plastic signs. 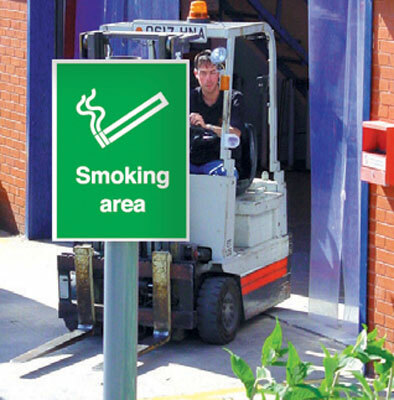 UK smoking signs - 400 x 600 mm highly flammable no smoking 1.2 mm rigid plastic signs. 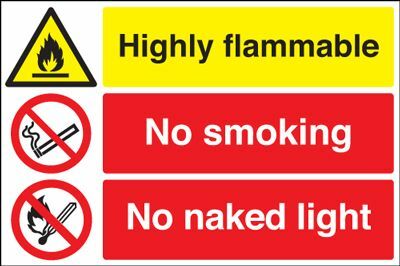 UK smoking signs 300 x 500 mm warning flammable no smoking no 1.2 mm rigid plastic signs with s/a backing. 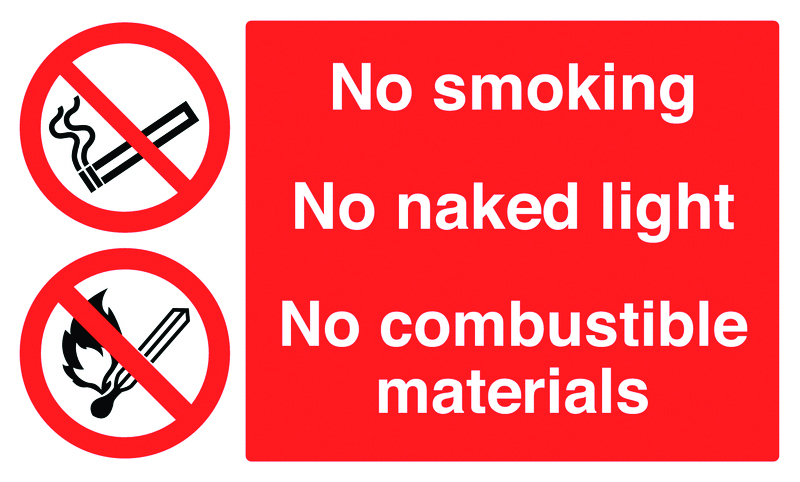 UK smoking signs - 300 x 500 mm warning flammable no smoking no 1.2 mm rigid plastic signs with self adhesive backing. UK smoking signs 350 x 250 mm no smoking flammable storage 1.2 mm rigid plastic signs with s/a backing. 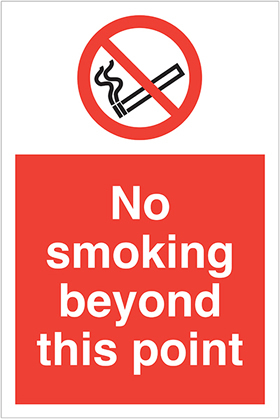 UK smoking signs - 350 x 250 mm no smoking flammable storage 1.2 mm rigid plastic signs with self adhesive backing. UK smoking signs 400 x 600 mm warning flammable no smoking no 1.2 mm rigid plastic signs with s/a backing. UK smoking signs - 400 x 600 mm warning flammable no smoking no 1.2 mm rigid plastic signs with self adhesive backing. UK smoking signs 400 x 600 mm highly flammable no smoking 1.2 mm rigid plastic signs with s/a backing. 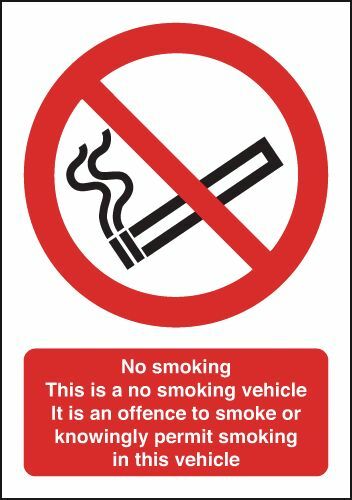 UK smoking signs - 400 x 600 mm highly flammable no smoking 1.2 mm rigid plastic signs with self adhesive backing. UK smoking signs 450 x 600 mm warning flammable no smoking no 1.2 mm rigid plastic signs with s/a backing. 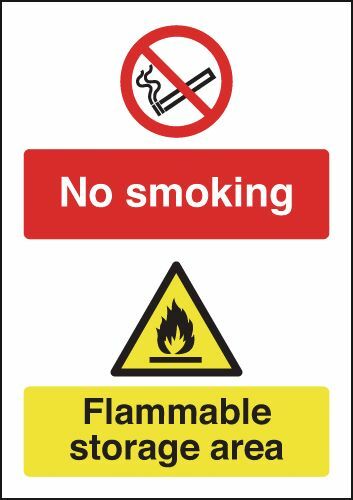 UK smoking signs - 450 x 600 mm warning flammable no smoking no 1.2 mm rigid plastic signs with self adhesive backing. 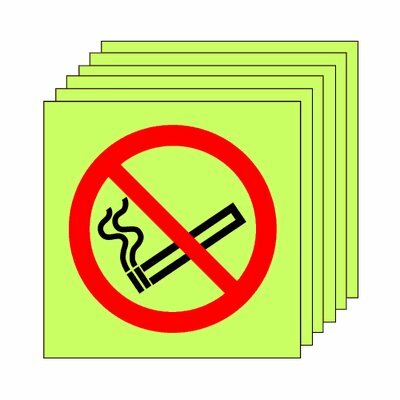 Pack of 20 photoluminescent 50 x 50 mm no smoking symbol sign. UK smoking signs A5No smoking zakaz palenia (polish) self adhesive vinyl labels. UK smoking signs - A5 no smoking zakaz palenia (polish) self adhesive vinyl labels. UK smoking signs A5No smoking zakaz palenia (polish) 1.2 mm rigid plastic signs. UK smoking signs - A5 no smoking zakaz palenia (polish) 1.2 mm rigid plastic signs. UK smoking signs 100 x 250 mm no smoking zakaz palenia polish self adhesive vinyl labels. UK smoking signs - 100 x 250 mm no smoking zakaz palenia polish self adhesive vinyl labels. UK smoking signs 400 x 300 mm no smoking zakaz palenia self adhesive vinyl labels. UK smoking signs - 400 x 300 mm no smoking zakaz palenia self adhesive vinyl labels. UK smoking signs A4 No smoking zakaz palenia (polish) self adhesive vinyl labels. UK smoking signs - A4 no smoking zakaz palenia (polish) self adhesive vinyl labels. UK smoking signs 100 x 250 mm no smoking zakaz palenia polish 1.2 mm rigid plastic signs. UK smoking signs - 100 x 250 mm no smoking zakaz palenia polish 1.2 mm rigid plastic signs. UK smoking signs A3 No smoking zakaz palenia (polish) self adhesive vinyl labels. UK smoking signs - A3 no smoking zakaz palenia (polish) self adhesive vinyl labels. UK smoking signs A4 No smoking zakaz palenia (polish) 1.2 mm rigid plastic signs. UK smoking signs - A4 no smoking zakaz palenia (polish) 1.2 mm rigid plastic signs. UK smoking signs 400 x 300 mm no smoking zakaz palenia 1.2 mm rigid plastic signs. 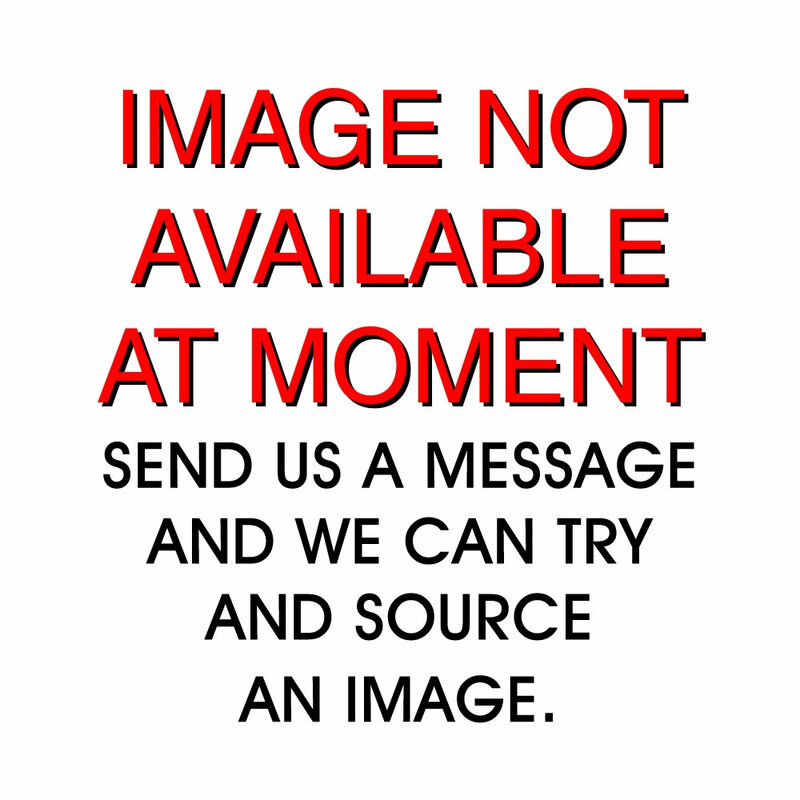 UK smoking signs - 400 x 300 mm no smoking zakaz palenia 1.2 mm rigid plastic signs. UK smoking signs A5No smoking zakaz palenia (polish) 1.2 mm rigid plastic signs with s/a backing. UK smoking signs - A5 no smoking zakaz palenia (polish) 1.2 mm rigid plastic signs with self adhesive backing. UK smoking signs A3 No smoking zakaz palenia (polish) 1.2 mm rigid plastic signs. UK smoking signs - A3 no smoking zakaz palenia (polish) 1.2 mm rigid plastic signs. UK smoking signs 400 x 300 mm no smoking zakaz palenia 1.2 mm rigid plastic signs with s/a backing. UK smoking signs - 400 x 300 mm no smoking zakaz palenia 1.2 mm rigid plastic signs with self adhesive backing. UK smoking signs A3 No smoking zakaz palenia (polish) 1.2 mm rigid plastic signs with s/a backing. UK smoking signs - A3 no smoking zakaz palenia (polish) 1.2 mm rigid plastic signs with self adhesive backing. UK smoking signs A4 No smoking zakaz palenia (polish) 1.2 mm rigid plastic signs with s/a backing. UK smoking signs - A4 no smoking zakaz palenia (polish) 1.2 mm rigid plastic signs with self adhesive backing. UK smoking signs 70 x 50 no smoking self adhesive vinyl labels. UK smoking signs - 70 x 50 no smoking self adhesive vinyl labels. UK smoking signs 100 diameter smoking area labels self adhesive vinyl labels. UK smoking signs - 100 Diameter smoking area labels self adhesive vinyl labels. UK smoking signs 100 x 100 mm no smoking self adhesive vinyl labels. UK smoking signs - 100 x 100 mm no smoking self adhesive vinyl labels. UK smoking signs 150 x 150 mm no smoking self adhesive vinyl labels. UK smoking signs - 150 x 150 mm no smoking self adhesive vinyl labels. UK smoking signs 100 x 100 mm no smoking 1.2 mm rigid plastic signs. UK smoking signs - 100 x 100 mm no smoking 1.2 mm rigid plastic signs. UK smoking signs 100 diameter smoking area sign 1.2 mm rigid plastic signs. UK smoking signs - 100 Diameter smoking area sign 1.2 mm rigid plastic signs. UK smoking signs 50 x 100 mm smoking area labels please keep this self adhesive vinyl labels. UK smoking signs - 50 x 100 mm smoking area labels please keep this self adhesive vinyl labels. UK smoking signs 150 x 125 mm smoking area labels please keep this self adhesive vinyl labels. UK smoking signs - 150 x 125 mm smoking area labels please keep this self adhesive vinyl labels. UK smoking signs 150 x 125 mm no smoking self adhesive vinyl labels. UK smoking signs - 150 x 125 mm no smoking self adhesive vinyl labels. UK smoking signs 50 x 100 mm no smoking self adhesive vinyl labels. UK smoking signs - 50 x 100 mm no smoking self adhesive vinyl labels. UK smoking signs 100 diameter no smoking symbol BS self adhesive vinyl labels. UK smoking signs - 100 Diameter no smoking symbol (bs) self adhesive vinyl labels. UK smoking signs 150 x 200 mm no smoking self adhesive vinyl labels. UK smoking signs - 150 x 200 mm no smoking self adhesive vinyl labels. UK smoking signs 100 x 200 mm smoking area labels please keep this self adhesive vinyl labels. UK smoking signs - 100 x 200 mm smoking area labels please keep this self adhesive vinyl labels. UK smoking signs 70 x 50 no smoking 1.2 mm rigid plastic signs. UK smoking signs - 70 x 50 no smoking 1.2 mm rigid plastic signs. UK smoking signs A5smoking area labels self adhesive vinyl labels. UK smoking signs - A5 smoking area labels self adhesive vinyl labels. UK smoking signs 50 x 250 mm smoking area labels please keep this self adhesive vinyl labels. UK smoking signs - 50 x 250 mm smoking area labels please keep this self adhesive vinyl labels. UK smoking signs 100 diameter no smoking symbol 1.2 mm rigid plastic signs. UK smoking signs - 100 Diameter no smoking symbol 1.2 mm rigid plastic signs. UK smoking signs 175 x 125 mm no smoking self adhesive vinyl labels. UK smoking signs - 175 x 125 mm no smoking self adhesive vinyl labels. UK smoking signs 100 x 250 mm smoking area labels self adhesive vinyl labels. UK smoking signs - 100 x 250 mm smoking area labels self adhesive vinyl labels. UK smoking signs 150 x 125 mm no smoking no naked light self adhesive vinyl labels. UK smoking signs - 150 x 125 mm no smoking no naked light self adhesive vinyl labels. UK smoking signs 150 x 125 mm no smoking no drinking self adhesive vinyl labels. UK smoking signs - 150 x 125 mm no smoking no drinking self adhesive vinyl labels. 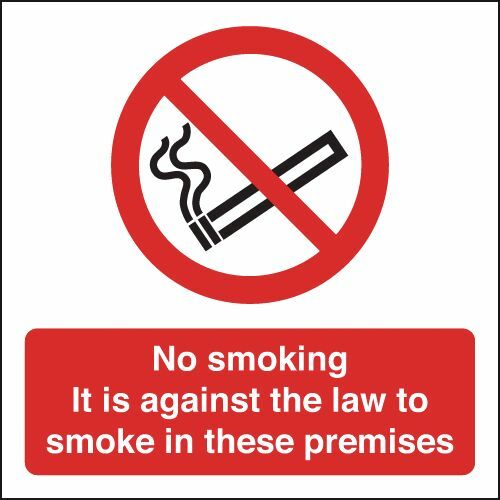 UK smoking signs 150 x 125 mm smoking area labels please keep this 1.2 mm rigid plastic signs. 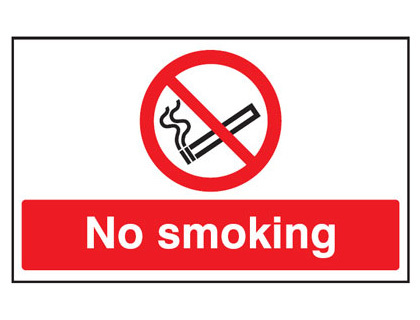 UK smoking signs - 150 x 125 mm smoking area labels please keep this 1.2 mm rigid plastic signs. UK smoking signs 150 x 125 mm no smoking 1.2 mm rigid plastic signs. UK smoking signs - 150 x 125 mm no smoking 1.2 mm rigid plastic signs. UK smoking signs 150 x 150 mm no smoking 1.2 mm rigid plastic signs. UK smoking signs - 150 x 150 mm no smoking 1.2 mm rigid plastic signs. UK smoking signs 100 x 200 mm smoking area labels please keep this 1.2 mm rigid plastic signs. UK smoking signs - 100 x 200 mm smoking area labels please keep this 1.2 mm rigid plastic signs. UK smoking signs 250 x 200 mm smoking area labels please keep this self adhesive vinyl labels. UK smoking signs - 250 x 200 mm smoking area labels please keep this self adhesive vinyl labels. UK smoking signs 150 x 300 mm no smoking self adhesive vinyl labels. UK smoking signs - 150 x 300 mm no smoking self adhesive vinyl labels. UK smoking signs 150 x 300 mm smoking area labels please keep this self adhesive vinyl labels. UK smoking signs - 150 x 300 mm smoking area labels please keep this self adhesive vinyl labels. UK smoking signs 150 x 300 mm smoking area labels self adhesive vinyl labels. UK smoking signs - 150 x 300 mm smoking area labels self adhesive vinyl labels. UK smoking signs 150 x 300 mm no smoking no drinking self adhesive vinyl labels. 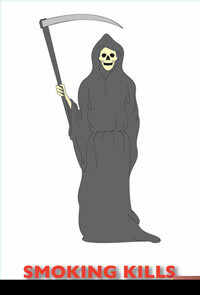 UK smoking signs - 150 x 300 mm no smoking no drinking self adhesive vinyl labels. UK smoking signs 50 x 250 mm smoking area labels please keep this 1.2 mm rigid plastic signs. UK smoking signs - 50 x 250 mm smoking area labels please keep this 1.2 mm rigid plastic signs. UK smoking signs 100 x 200 mm no smoking self adhesive vinyl labels. UK smoking signs - 100 x 200 mm no smoking self adhesive vinyl labels. UK smoking signs 50 x 100 mm smoking area labels please keep this 1.2 mm rigid plastic signs. UK smoking signs - 50 x 100 mm smoking area labels please keep this 1.2 mm rigid plastic signs. UK smoking signs 50 x 100 mm no smoking 1.2 mm rigid plastic signs. UK smoking signs - 50 x 100 mm no smoking 1.2 mm rigid plastic signs. UK smoking signs A5No smoking self adhesive vinyl labels. UK smoking signs - A5 no smoking self adhesive vinyl labels. UK smoking signs 100 x 200 mm no smoking no drinking self adhesive vinyl labels. UK smoking signs - 100 x 200 mm no smoking no drinking self adhesive vinyl labels. UK smoking signs A5No smoking no drinking no eating self adhesive vinyl labels. UK smoking signs - A5 no smoking no drinking no eating self adhesive vinyl labels. 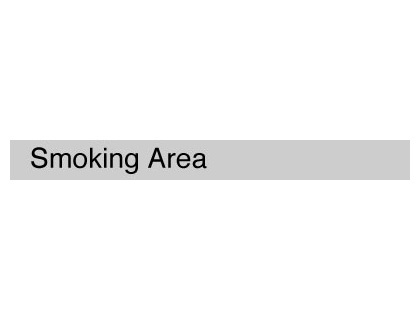 UK smoking signs A5smoking area labels please keep this area self adhesive vinyl labels. UK smoking signs - A5 smoking area labels please keep this area self adhesive vinyl labels. UK smoking signs 175 x 125 mm no smoking 1.2 mm rigid plastic signs. UK smoking signs - 175 x 125 mm no smoking 1.2 mm rigid plastic signs. UK smoking signs 50 x 250 mm no smoking self adhesive vinyl labels. UK smoking signs - 50 x 250 mm no smoking self adhesive vinyl labels. UK smoking signs A5smoking area sign 1.2 mm rigid plastic signs. UK smoking signs - A5 smoking area sign 1.2 mm rigid plastic signs. UK smoking signs 150 x 200 mm no smoking 1.2 mm rigid plastic signs. UK smoking signs - 150 x 200 mm no smoking 1.2 mm rigid plastic signs. UK smoking signs 100 x 250 mm no smoking self adhesive vinyl labels. UK smoking signs - 100 x 250 mm no smoking self adhesive vinyl labels. UK smoking signs 100 x 250 mm no smoking no naked light self adhesive vinyl labels. UK smoking signs - 100 x 250 mm no smoking no naked light self adhesive vinyl labels. UK smoking signs 150 x 125 mm no smoking no drinking 1.2 mm rigid plastic signs. 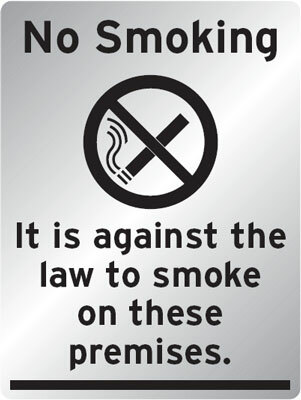 UK smoking signs - 150 x 125 mm no smoking no drinking 1.2 mm rigid plastic signs. UK smoking signs 150 x 125 mm no smoking no naked light 1.2 mm rigid plastic signs. UK smoking signs - 150 x 125 mm no smoking no naked light 1.2 mm rigid plastic signs. UK smoking signs 100 x 200 mm no smoking 1.2 mm rigid plastic signs. UK smoking signs - 100 x 200 mm no smoking 1.2 mm rigid plastic signs. UK smoking signs 250 x 200 mm no smoking self adhesive vinyl labels. UK smoking signs - 250 x 200 mm no smoking self adhesive vinyl labels. UK smoking signs 100 x 200 mm no smoking no drinking 1.2 mm rigid plastic signs. UK smoking signs - 100 x 200 mm no smoking no drinking 1.2 mm rigid plastic signs. UK smoking signs 250 x 200 mm no smoking no drinking self adhesive vinyl labels. UK smoking signs - 250 x 200 mm no smoking no drinking self adhesive vinyl labels. UK smoking signs 150 x 300 mm no smoking no naked light self adhesive vinyl labels. UK smoking signs - 150 x 300 mm no smoking no naked light self adhesive vinyl labels. UK smoking signs 100 x 250 mm smoking area sign 1.2 mm rigid plastic signs. UK smoking signs - 100 x 250 mm smoking area sign 1.2 mm rigid plastic signs. UK smoking signs 50 x 250 mm no smoking 1.2 mm rigid plastic signs. UK smoking signs - 50 x 250 mm no smoking 1.2 mm rigid plastic signs. UK smoking signs 200 x 400 mm smoking area labels self adhesive vinyl labels. UK smoking signs - 200 x 400 mm smoking area labels self adhesive vinyl labels. UK smoking signs 200 x 400 mm no smoking self adhesive vinyl labels. UK smoking signs - 200 x 400 mm no smoking self adhesive vinyl labels. UK smoking signs 150 x 300 mm no smoking 1.2 mm rigid plastic signs. UK smoking signs - 150 x 300 mm no smoking 1.2 mm rigid plastic signs. UK smoking signs 150 x 300 mm smoking area sign 1.2 mm rigid plastic signs. UK smoking signs - 150 x 300 mm smoking area sign 1.2 mm rigid plastic signs. 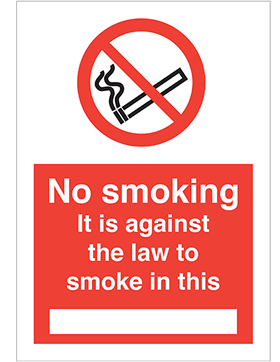 UK smoking signs 150 x 300 mm smoking area labels please keep this 1.2 mm rigid plastic signs. UK smoking signs - 150 x 300 mm smoking area labels please keep this 1.2 mm rigid plastic signs. UK smoking signs 150 x 300 mm no smoking no drinking 1.2 mm rigid plastic signs. UK smoking signs - 150 x 300 mm no smoking no drinking 1.2 mm rigid plastic signs. UK smoking signs 70 x 50 no smoking 1.2 mm rigid plastic signs with s/a backing. UK smoking signs - 70 x 50 no smoking 1.2 mm rigid plastic signs with self adhesive backing. UK smoking signs A5smoking area labels please keep this area 1.2 mm rigid plastic signs. UK smoking signs - A5 smoking area labels please keep this area 1.2 mm rigid plastic signs. UK smoking signs A5No smoking 1.2 mm rigid plastic signs. UK smoking signs - A5 no smoking 1.2 mm rigid plastic signs. UK smoking signs A5No smoking no drinking no eating 1.2 mm rigid plastic signs. 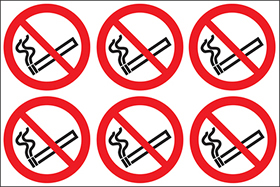 UK smoking signs - A5 no smoking no drinking no eating 1.2 mm rigid plastic signs. UK smoking signs 300 x 300 mm no smoking self adhesive vinyl labels. UK smoking signs - 300 x 300 mm no smoking self adhesive vinyl labels. UK smoking signs 250 x 350 mm no smoking self adhesive vinyl labels. UK smoking signs - 250 x 350 mm no smoking self adhesive vinyl labels. UK smoking signs 400 x 300 mm smoking area labels self adhesive vinyl labels. UK smoking signs - 400 x 300 mm smoking area labels self adhesive vinyl labels. UK smoking signs 250 x 200 mm smoking area labels please keep this 1.2 mm rigid plastic signs. UK smoking signs - 250 x 200 mm smoking area labels please keep this 1.2 mm rigid plastic signs. UK smoking signs A4 smoking area labels self adhesive vinyl labels. UK smoking signs - A4 smoking area labels self adhesive vinyl labels. UK smoking signs 100 x 250 mm no smoking/no naked light rigid 1.2 mm rigid plastic signs. 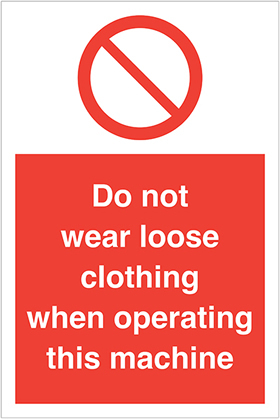 UK smoking signs - 100 x 250 mm no smoking/no naked light rigid 1.2 mm rigid plastic signs. UK smoking signs 100 x 250 mm no smoking 1.2 mm rigid plastic signs. UK smoking signs - 100 x 250 mm no smoking 1.2 mm rigid plastic signs. UK smoking signs 150 x 300 mm no smoking no naked light 1.2 mm rigid plastic signs. UK smoking signs - 150 x 300 mm no smoking no naked light 1.2 mm rigid plastic signs. UK smoking signs 100 diameter smoking area sign 1.2 mm rigid plastic signs with s/a backing. UK smoking signs - 100 Diameter smoking area sign 1.2 mm rigid plastic signs with self adhesive backing. UK smoking signs 100 x 100 mm no smoking 1.2 mm rigid plastic signs with s/a backing. UK smoking signs - 100 x 100 mm no smoking 1.2 mm rigid plastic signs with self adhesive backing. UK smoking signs A3 smoking area labels please keep this area self adhesive vinyl labels. UK smoking signs - A3 smoking area labels please keep this area self adhesive vinyl labels. UK smoking signs A3 No smoking self adhesive vinyl labels. UK smoking signs - A3 no smoking self adhesive vinyl labels. UK smoking signs A3 smoking area labels self adhesive vinyl labels. UK smoking signs - A3 smoking area labels self adhesive vinyl labels. UK smoking signs 250 x 200 mm no smoking 1.2 mm rigid plastic signs. UK smoking signs - 250 x 200 mm no smoking 1.2 mm rigid plastic signs. UK smoking signs 300 x 300 mm no smoking no drinking self adhesive vinyl labels. 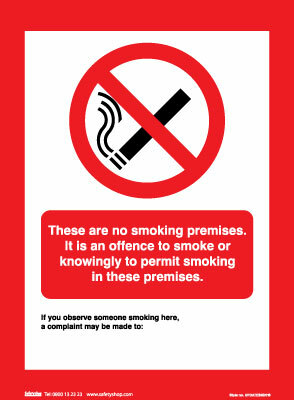 UK smoking signs - 300 x 300 mm no smoking no drinking self adhesive vinyl labels. UK smoking signs 200 x 400 mm no smoking 1.2 mm rigid plastic signs. UK smoking signs - 200 x 400 mm no smoking 1.2 mm rigid plastic signs. UK smoking signs 200 x 400 mm smoking area sign 1.2 mm rigid plastic signs. 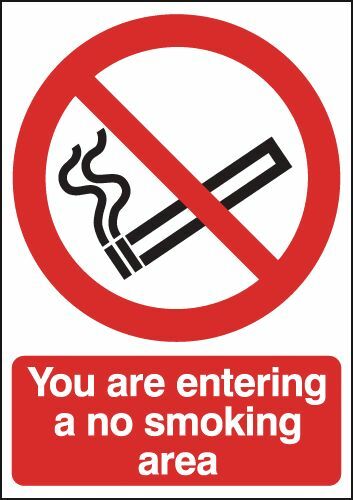 UK smoking signs - 200 x 400 mm smoking area sign 1.2 mm rigid plastic signs. UK smoking signs 250 x 350 mm no smoking no naked light self adhesive vinyl labels. UK smoking signs - 250 x 350 mm no smoking no naked light self adhesive vinyl labels. UK smoking signs 400 x 300 mm no smoking no naked light self adhesive vinyl labels. UK smoking signs - 400 x 300 mm no smoking no naked light self adhesive vinyl labels. UK smoking signs 400 x 300 mm smoking area labels please keep this self adhesive vinyl labels. UK smoking signs - 400 x 300 mm smoking area labels please keep this self adhesive vinyl labels. UK smoking signs 400 x 300 mm no smoking self adhesive vinyl labels. UK smoking signs - 400 x 300 mm no smoking self adhesive vinyl labels. UK smoking signs 400 x 300 mm no smoking no drinking self adhesive vinyl labels. UK smoking signs - 400 x 300 mm no smoking no drinking self adhesive vinyl labels. 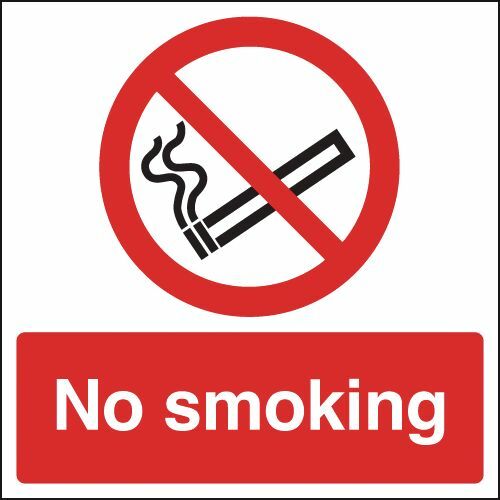 UK smoking signs 250 x 200 mm no smoking no drinking 1.2 mm rigid plastic signs. 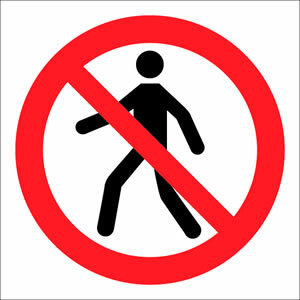 UK smoking signs - 250 x 200 mm no smoking no drinking 1.2 mm rigid plastic signs. UK smoking signs A4 No smoking no drinking no eating self adhesive vinyl labels. 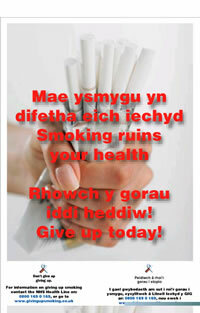 UK smoking signs - A4 no smoking no drinking no eating self adhesive vinyl labels. UK smoking signs A4 smoking area labels please keep this area self adhesive vinyl labels. UK smoking signs - A4 smoking area labels please keep this area self adhesive vinyl labels. UK smoking signs A4 No smoking self adhesive vinyl labels. UK smoking signs - A4 no smoking self adhesive vinyl labels. UK smoking signs 50 x 250 mm smoking area signs please keep this 1.2 mm rigid plastic signs with s/a backing. 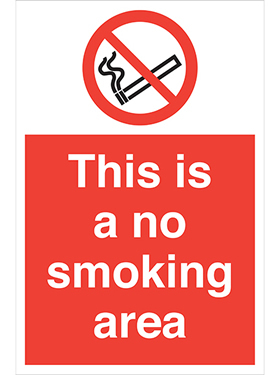 UK smoking signs - 50 x 250 mm smoking area signs please keep this 1.2 mm rigid plastic signs with self adhesive backing. 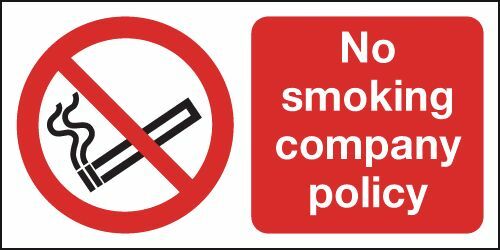 UK smoking signs 150 x 125 mm smoking area signs please keep this 1.2 mm rigid plastic signs with s/a backing. 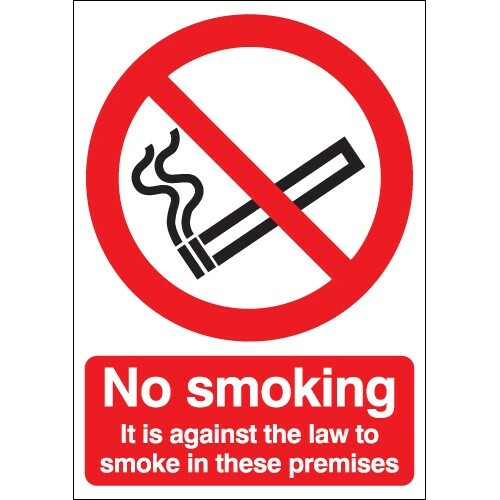 UK smoking signs - 150 x 125 mm smoking area signs please keep this 1.2 mm rigid plastic signs with self adhesive backing. UK smoking signs 175 x 125 mm no smoking 1.2 mm rigid plastic signs with s/a backing. UK smoking signs - 175 x 125 mm no smoking 1.2 mm rigid plastic signs with self adhesive backing. UK smoking signs 150 x 150 mm no smoking 1.2 mm rigid plastic signs with s/a backing. UK smoking signs - 150 x 150 mm no smoking 1.2 mm rigid plastic signs with self adhesive backing. UK smoking signs 50 x 100 mm no smoking 1.2 mm rigid plastic signs with s/a backing. UK smoking signs - 50 x 100 mm no smoking 1.2 mm rigid plastic signs with self adhesive backing. UK smoking signs 50 x 100 mm smoking area signs please keep this 1.2 mm rigid plastic signs with s/a backing. 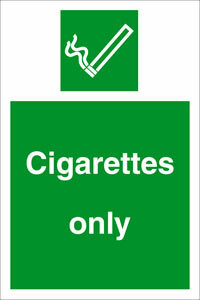 UK smoking signs - 50 x 100 mm smoking area signs please keep this 1.2 mm rigid plastic signs with self adhesive backing. UK smoking signs 450 x 450 mm no smoking self adhesive vinyl labels. UK smoking signs - 450 x 450 mm no smoking self adhesive vinyl labels. UK smoking signs 300 x 500 mm no smoking self adhesive vinyl labels. UK smoking signs - 300 x 500 mm no smoking self adhesive vinyl labels. UK smoking signs 300 x 500 mm smoking area labels self adhesive vinyl labels. UK smoking signs - 300 x 500 mm smoking area labels self adhesive vinyl labels. UK smoking signs A3 No smoking no drinking no eating self adhesive vinyl labels. UK smoking signs - A3 no smoking no drinking no eating self adhesive vinyl labels. UK smoking signs 200 x 400 mm no smoking 1.2 mm rigid plastic signs with s/a backing. UK smoking signs - 200 x 400 mm no smoking 1.2 mm rigid plastic signs with self adhesive backing. UK smoking signs 100 x 200 mm no smoking 1.2 mm rigid plastic signs with s/a backing. UK smoking signs - 100 x 200 mm no smoking 1.2 mm rigid plastic signs with self adhesive backing. 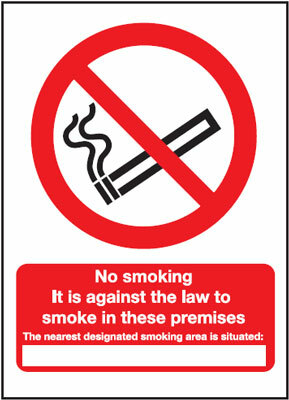 UK smoking signs 200 x 400 mm smoking area sign 1.2 mm rigid plastic signs with s/a backing. 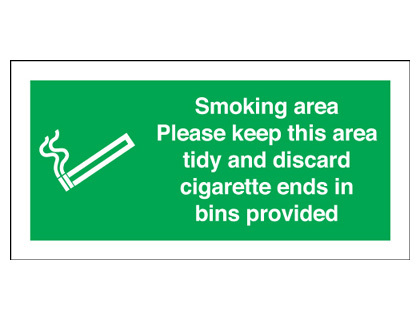 UK smoking signs - 200 x 400 mm smoking area sign 1.2 mm rigid plastic signs with self adhesive backing. UK smoking signs 100 x 200 mm smoking area signs please keep this 1.2 mm rigid plastic signs with s/a backing. 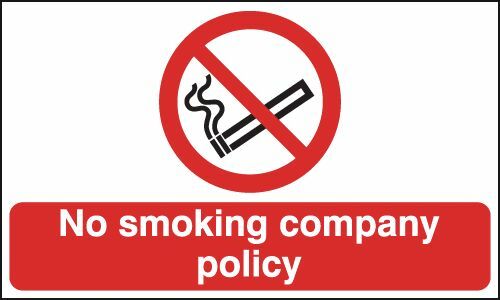 UK smoking signs - 100 x 200 mm smoking area signs please keep this 1.2 mm rigid plastic signs with self adhesive backing. UK smoking signs 300 x 300 mm no smoking 1.2 mm rigid plastic signs. UK smoking signs - 300 x 300 mm no smoking 1.2 mm rigid plastic signs. UK smoking signs 250 x 350 mm smoking area sign 1.2 mm rigid plastic signs. 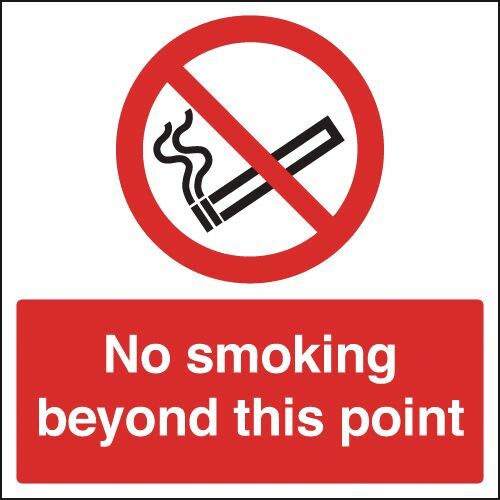 UK smoking signs - 250 x 350 mm smoking area sign 1.2 mm rigid plastic signs. UK smoking signs 250 x 350 mm no smoking 1.2 mm rigid plastic signs. 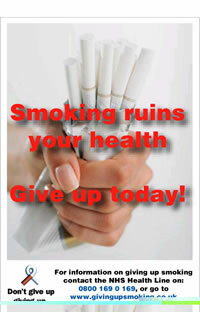 UK smoking signs - 250 x 350 mm no smoking 1.2 mm rigid plastic signs. UK smoking signs A4 smoking area sign 1.2 mm rigid plastic signs. UK smoking signs - A4 smoking area sign 1.2 mm rigid plastic signs. UK smoking signs A4 No smoking 1.2 mm rigid plastic signs. UK smoking signs - A4 no smoking 1.2 mm rigid plastic signs. UK smoking signs A4 smoking area labels please keep this area 1.2 mm rigid plastic signs. UK smoking signs - A4 smoking area labels please keep this area 1.2 mm rigid plastic signs. UK smoking signs 150 x 125 mm no smoking no naked light 1.2 mm rigid plastic signs with s/a backing. UK smoking signs - 150 x 125 mm no smoking no naked light 1.2 mm rigid plastic signs with self adhesive backing. UK smoking signs 400 x 300 mm smoking area sign 1.2 mm rigid plastic signs. 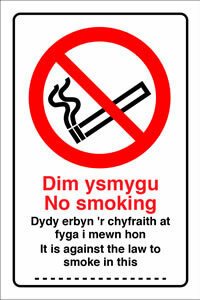 UK smoking signs - 400 x 300 mm smoking area sign 1.2 mm rigid plastic signs. UK smoking signs 150 x 200 mm no smoking 1.2 mm rigid plastic signs with s/a backing. 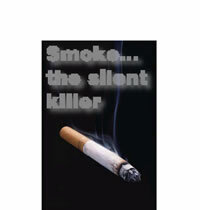 UK smoking signs - 150 x 200 mm no smoking 1.2 mm rigid plastic signs with self adhesive backing. UK smoking signs 150 x 125 mm no smoking 1.2 mm rigid plastic signs with s/a backing. 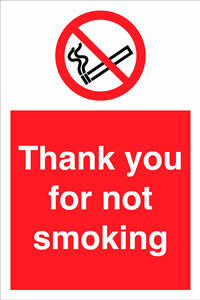 UK smoking signs - 150 x 125 mm no smoking 1.2 mm rigid plastic signs with self adhesive backing. UK smoking signs 50 x 250 mm no smoking 1.2 mm rigid plastic signs with s/a backing. UK smoking signs - 50 x 250 mm no smoking 1.2 mm rigid plastic signs with self adhesive backing. 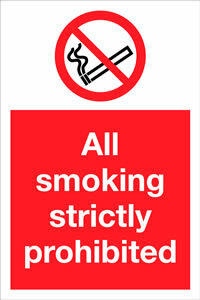 UK smoking signs 150 x 125 mm no smoking no drinking 1.2 mm rigid plastic signs with s/a backing. 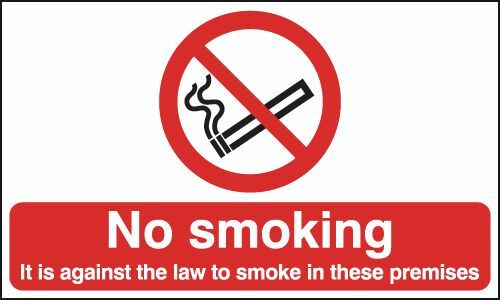 UK smoking signs - 150 x 125 mm no smoking no drinking 1.2 mm rigid plastic signs with self adhesive backing. UK smoking signs 300 x 500 mm no smoking no naked light self adhesive vinyl labels. UK smoking signs - 300 x 500 mm no smoking no naked light self adhesive vinyl labels. 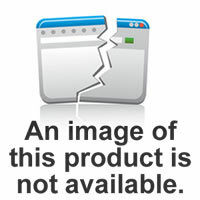 UK smoking signs 450 x 450 mm no smoking no drinking self adhesive vinyl labels. UK smoking signs - 450 x 450 mm no smoking no drinking self adhesive vinyl labels. UK smoking signs 300 x 500 mm no smoking no drinking self adhesive vinyl labels. UK smoking signs - 300 x 500 mm no smoking no drinking self adhesive vinyl labels. UK smoking signs 300 x 500 mm no smoking 1.2 mm rigid plastic signs. UK smoking signs - 300 x 500 mm no smoking 1.2 mm rigid plastic signs. UK smoking signs 300 x 500 mm smoking area sign 1.2 mm rigid plastic signs. UK smoking signs - 300 x 500 mm smoking area sign 1.2 mm rigid plastic signs. 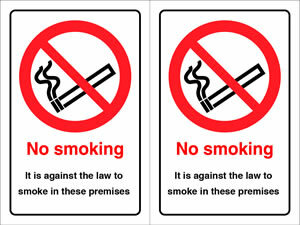 UK smoking signs 100 x 200 mm no smoking no drinking 1.2 mm rigid plastic signs with s/a backing. UK smoking signs - 100 x 200 mm no smoking no drinking 1.2 mm rigid plastic signs with self adhesive backing. UK smoking signs 300 x 300 mm no smoking no drinking 1.2 mm rigid plastic signs. 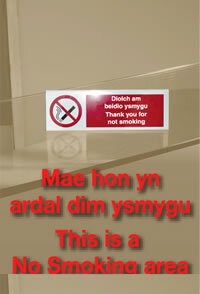 UK smoking signs - 300 x 300 mm no smoking no drinking 1.2 mm rigid plastic signs. UK smoking signs 250 x 350 mm no smoking no naked light 1.2 mm rigid plastic signs. 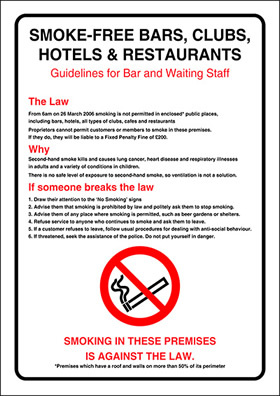 UK smoking signs - 250 x 350 mm no smoking no naked light 1.2 mm rigid plastic signs. UK smoking signs A4 No smoking no drinking no eating 1.2 mm rigid plastic signs. 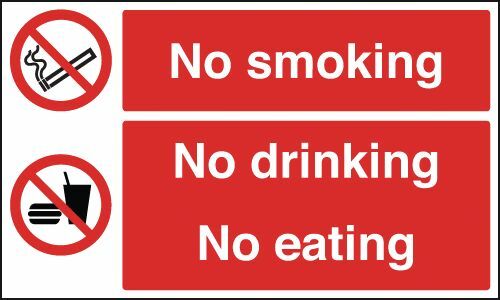 UK smoking signs - A4 no smoking no drinking no eating 1.2 mm rigid plastic signs. UK smoking signs 600 x 450 mm smoking area labels self adhesive vinyl labels. UK smoking signs - 600 x 450 mm smoking area labels self adhesive vinyl labels. UK smoking signs 450 x 600 mm smoking area labels self adhesive vinyl labels. UK smoking signs - 450 x 600 mm smoking area labels self adhesive vinyl labels. UK smoking signs A3 smoking area sign 1.2 mm rigid plastic signs. UK smoking signs - A3 smoking area sign 1.2 mm rigid plastic signs. UK smoking signs A3 smoking area labels please keep this area 1.2 mm rigid plastic signs. UK smoking signs - A3 smoking area labels please keep this area 1.2 mm rigid plastic signs. 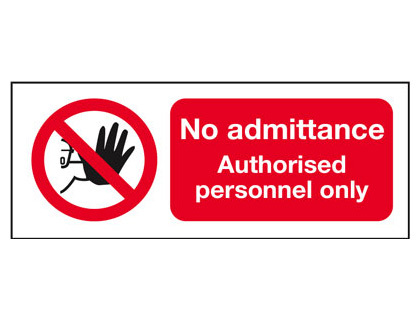 UK smoking signs 600 x 450 mm smoking area labels please keep this self adhesive vinyl labels. 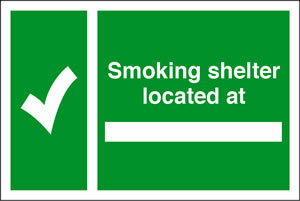 UK smoking signs - 600 x 450 mm smoking area labels please keep this self adhesive vinyl labels. UK smoking signs A3 No smoking 1.2 mm rigid plastic signs. UK smoking signs - A3 no smoking 1.2 mm rigid plastic signs. UK smoking signs 400 x 300 mm no smoking no drinking 1.2 mm rigid plastic signs. UK smoking signs - 400 x 300 mm no smoking no drinking 1.2 mm rigid plastic signs. 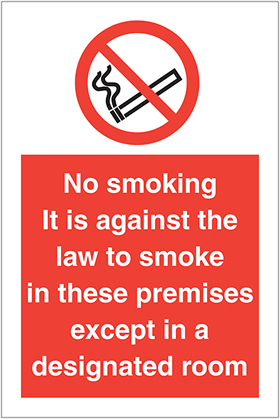 UK smoking signs 400 x 300 mm smoking area labels please keep this 1.2 mm rigid plastic signs. 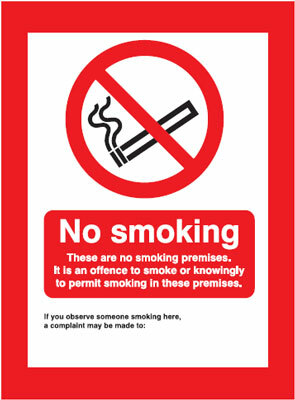 UK smoking signs - 400 x 300 mm smoking area labels please keep this 1.2 mm rigid plastic signs. 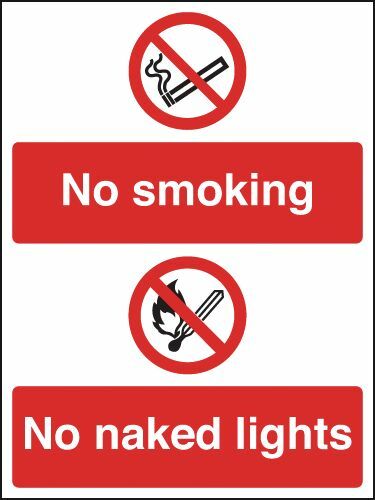 UK smoking signs 400 x 300 mm no smoking no naked light 1.2 mm rigid plastic signs. UK smoking signs - 400 x 300 mm no smoking no naked light 1.2 mm rigid plastic signs. UK smoking signs 400 x 300 mm no smoking 1.2 mm rigid plastic signs. UK smoking signs - 400 x 300 mm no smoking 1.2 mm rigid plastic signs. Multi pack safety signs & labels - A5 smoking area labels self adhesive vinyl labels 6 pack. Multi pack safety signs & labels - A5 no smoking it is against the law to self adhesive vinyl labels 6 pack. Multi pack safety signs & labels - A5 no smoking beyond this point self adhesive vinyl labels 6 pack. Multi pack safety signs & labels - A5 no smoking company policy self adhesive vinyl labels 6 pack. UK smoking signs 400 x 600 mm petroleum mixture no smoking self adhesive vinyl labels. UK smoking signs - 400 x 600 mm petroleum mixture no smoking self adhesive vinyl labels. UK smoking signs A5smoking area sign 1.2 mm rigid plastic signs with s/a backing. UK smoking signs - A5 smoking area sign 1.2 mm rigid plastic signs with self adhesive backing. UK smoking signs 150 x 300 mm smoking area signs please keep this 1.2 mm rigid plastic signs with s/a backing. UK smoking signs - 150 x 300 mm smoking area signs please keep this 1.2 mm rigid plastic signs with self adhesive backing. 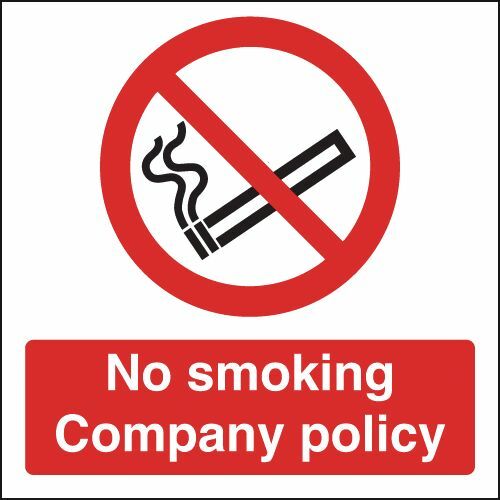 UK smoking signs 150 x 300 mm smoking area sign 1.2 mm rigid plastic signs with s/a backing. 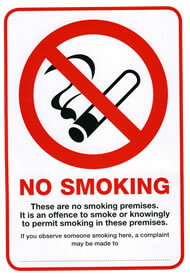 UK smoking signs - 150 x 300 mm smoking area sign 1.2 mm rigid plastic signs with self adhesive backing. UK smoking signs 300 x 500 mm no smoking no naked light 1.2 mm rigid plastic signs. UK smoking signs - 300 x 500 mm no smoking no naked light 1.2 mm rigid plastic signs. UK smoking signs 300 x 500 mm no smoking no naked light no 1.2 mm rigid plastic signs. UK smoking signs - 300 x 500 mm no smoking no naked light no 1.2 mm rigid plastic signs. UK smoking signs 300 x 500 mm no smoking no drinking 1.2 mm rigid plastic signs. UK smoking signs - 300 x 500 mm no smoking no drinking 1.2 mm rigid plastic signs. UK smoking signs 150 x 300 mm no smoking 1.2 mm rigid plastic signs with s/a backing. UK smoking signs - 150 x 300 mm no smoking 1.2 mm rigid plastic signs with self adhesive backing. UK smoking signs 250 x 200 mm no smoking 1.2 mm rigid plastic signs with s/a backing. UK smoking signs - 250 x 200 mm no smoking 1.2 mm rigid plastic signs with self adhesive backing. UK smoking signs 250 x 200 mm smoking area signs please keep this 1.2 mm rigid plastic signs with s/a backing. 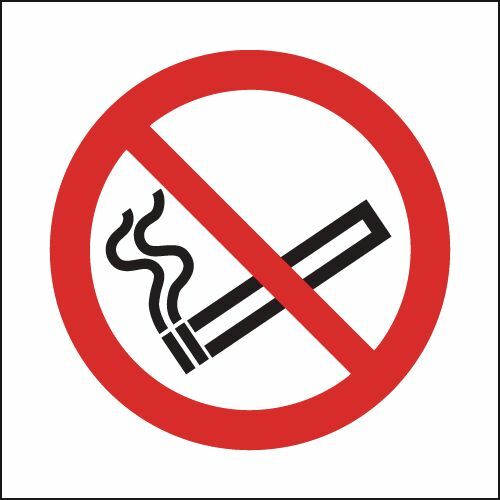 UK smoking signs - 250 x 200 mm smoking area signs please keep this 1.2 mm rigid plastic signs with self adhesive backing. UK smoking signs A2 420 x 598 mm smoking area labels self adhesive vinyl labels. UK smoking signs - A2 smoking area labels self adhesive vinyl labels. UK smoking signs 600 x 450 mm petroleum mixture no smoking self adhesive vinyl labels. UK smoking signs - 600 x 450 mm petroleum mixture no smoking self adhesive vinyl labels. UK smoking signs A3 No smoking no drinking no eating 1.2 mm rigid plastic signs. 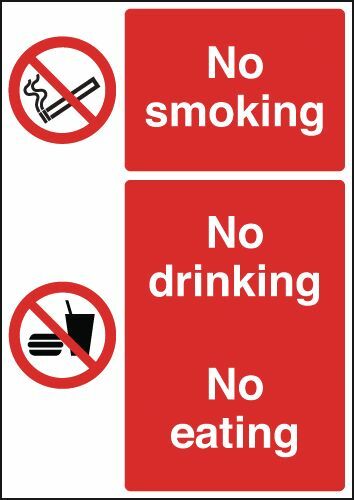 UK smoking signs - A3 no smoking no drinking no eating 1.2 mm rigid plastic signs. UK smoking signs 450 x 600 mm no smoking self adhesive vinyl labels. UK smoking signs - 450 x 600 mm no smoking self adhesive vinyl labels. UK smoking signs 600 x 450 mm no smoking self adhesive vinyl labels. UK smoking signs - 600 x 450 mm no smoking self adhesive vinyl labels. UK smoking signs A5No smoking 1.2 mm rigid plastic signs with s/a backing. UK smoking signs - A5 no smoking 1.2 mm rigid plastic signs with self adhesive backing. UK smoking signs A5No smoking no drinking no eating 1.2 mm rigid plastic signs with s/a backing. 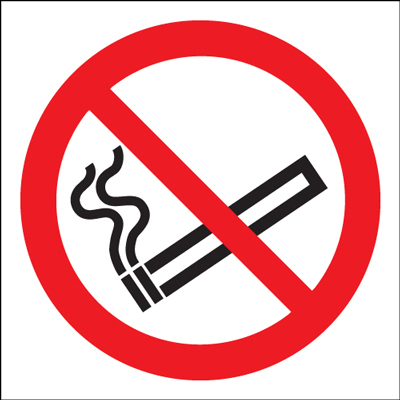 UK smoking signs - A5 no smoking no drinking no eating 1.2 mm rigid plastic signs with self adhesive backing. UK smoking signs A5smoking area signs please keep this area 1.2 mm rigid plastic signs with s/a backing. UK smoking signs - A5 smoking area signs please keep this area 1.2 mm rigid plastic signs with self adhesive backing. Multi pack safety signs & labels - A5 no smoking self adhesive vinyl labels 6 pack. UK smoking signs 450 x 450 mm no smoking 1.2 mm rigid plastic signs. UK smoking signs - 450 x 450 mm no smoking 1.2 mm rigid plastic signs. UK smoking signs 150 x 300 mm no smoking no naked light 1.2 mm rigid plastic signs with s/a backing. UK smoking signs - 150 x 300 mm no smoking no naked light 1.2 mm rigid plastic signs with self adhesive backing. 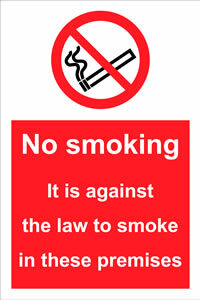 UK smoking signs 150 x 300 mm no smoking no drinking 1.2 mm rigid plastic signs with s/a backing. UK smoking signs - 150 x 300 mm no smoking no drinking 1.2 mm rigid plastic signs with self adhesive backing. 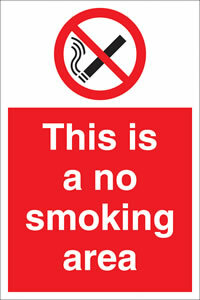 UK smoking signs 250 x 200 mm no smoking no drinking 1.2 mm rigid plastic signs with s/a backing. UK smoking signs - 250 x 200 mm no smoking no drinking 1.2 mm rigid plastic signs with self adhesive backing. UK smoking signs A2 420 x 598 mm biological hazard no smoking eating self adhesive vinyl labels. 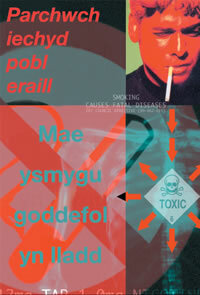 UK smoking signs - A2 biological hazard no smoking eating self adhesive vinyl labels. UK smoking signs A2 420 x 598 mm petroleum mixture no smoking no self adhesive vinyl labels. UK smoking signs - A2 petroleum mixture no smoking no self adhesive vinyl labels. UK smoking signs A2 420 x 598 mm No smoking no drinking no eating self adhesive vinyl labels. UK smoking signs - A2 no smoking no drinking no eating self adhesive vinyl labels. UK smoking signs A2 420 x 598 mm No smoking self adhesive vinyl labels. UK smoking signs - A2 no smoking self adhesive vinyl labels. UK smoking signs A2 420 x 598 mm smoking area sign 1.2 mm rigid plastic signs. UK smoking signs - A2 smoking area sign 1.2 mm rigid plastic signs. UK smoking signs 600 x 450 mm smoking area sign 1.2 mm rigid plastic signs. 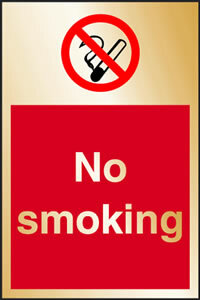 UK smoking signs - 600 x 450 mm smoking area sign 1.2 mm rigid plastic signs. UK smoking signs 450 x 600 mm smoking area sign 1.2 mm rigid plastic signs. 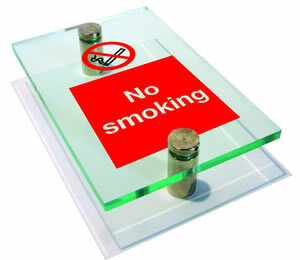 UK smoking signs - 450 x 600 mm smoking area sign 1.2 mm rigid plastic signs. Multi pack safety signs & labels - A5 smoking area sign 1.2 mm rigid plastic signs 6 pack. 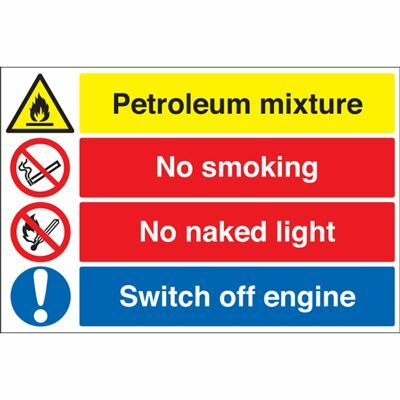 Multi pack safety signs & labels - A5 no smoking it is against the law to 1.2 mm rigid plastic signs 6 pack. Multi pack safety signs & labels - A5 no smoking beyond this point 1.2 mm rigid plastic signs 6 pack. 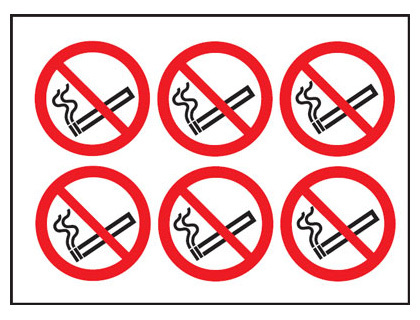 Multi pack safety signs & labels - A5 no smoking company policy 1.2 mm rigid plastic signs 6 pack. UK smoking signs 300 x 300 mm no smoking 1.2 mm rigid plastic signs with s/a backing. UK smoking signs - 300 x 300 mm no smoking 1.2 mm rigid plastic signs with self adhesive backing. UK smoking signs A2 420 x 598 mm biological hazard no smoking eating 1.2 mm rigid plastic signs. UK smoking signs - A2 biological hazard no smoking eating 1.2 mm rigid plastic signs. UK smoking signs A2 420 x 598 mm No smoking 1.2 mm rigid plastic signs. UK smoking signs - A2 no smoking 1.2 mm rigid plastic signs. UK smoking signs A2 420 x 598 mm petroleum mixture no smoking no 1.2 mm rigid plastic signs. UK smoking signs - A2 petroleum mixture no smoking no 1.2 mm rigid plastic signs. UK smoking signs 400 x 600 mm petroleum mixture no smoking 1.2 mm rigid plastic signs. UK smoking signs - 400 x 600 mm petroleum mixture no smoking 1.2 mm rigid plastic signs. UK smoking signs 250 x 350 mm no smoking 1.2 mm rigid plastic signs with s/a backing. 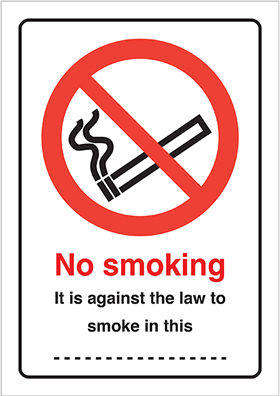 UK smoking signs - 250 x 350 mm no smoking 1.2 mm rigid plastic signs with self adhesive backing. UK smoking signs 600 x 450 mm petroleum mixture no smoking 1.2 mm rigid plastic signs. UK smoking signs - 600 x 450 mm petroleum mixture no smoking 1.2 mm rigid plastic signs. UK smoking signs 600 x 450 mm no smoking 1.2 mm rigid plastic signs. UK smoking signs - 600 x 450 mm no smoking 1.2 mm rigid plastic signs. UK smoking signs 450 x 600 mm no smoking 1.2 mm rigid plastic signs. UK smoking signs - 450 x 600 mm no smoking 1.2 mm rigid plastic signs. UK smoking signs 400 x 300 mm smoking area sign 1.2 mm rigid plastic signs with s/a backing. 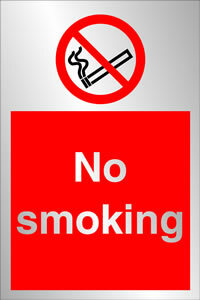 UK smoking signs - 400 x 300 mm smoking area sign 1.2 mm rigid plastic signs with self adhesive backing. UK smoking signs 400 x 300 mm no smoking 1.2 mm rigid plastic signs with s/a backing. UK smoking signs - 400 x 300 mm no smoking 1.2 mm rigid plastic signs with self adhesive backing. UK smoking signs A1 No smoking self adhesive vinyl labels. UK smoking signs - A1 no smoking self adhesive vinyl labels. UK smoking signs A1 No smoking no drinking no eating self adhesive vinyl labels. UK smoking signs - A1 no smoking no drinking no eating self adhesive vinyl labels. Multi pack safety signs & labels - A5 no smoking 1.2 mm rigid plastic signs 6 pack. 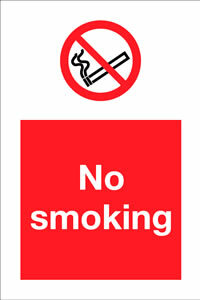 UK smoking signs 300 x 300 mm no smoking no drinking 1.2 mm rigid plastic signs with s/a backing. 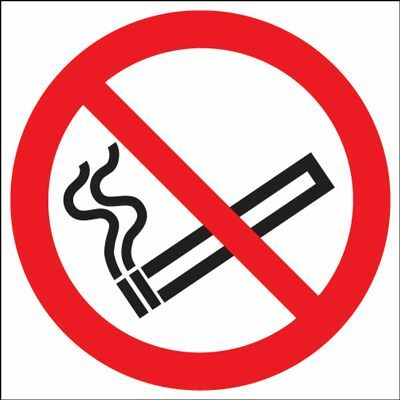 UK smoking signs - 300 x 300 mm no smoking no drinking 1.2 mm rigid plastic signs with self adhesive backing. UK smoking signs 300 x 500 mm no smoking 1.2 mm rigid plastic signs with s/a backing. UK smoking signs - 300 x 500 mm no smoking 1.2 mm rigid plastic signs with self adhesive backing. 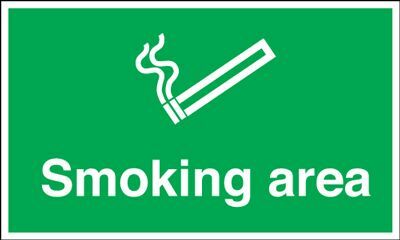 UK smoking signs 300 x 500 mm smoking area sign 1.2 mm rigid plastic signs with s/a backing. 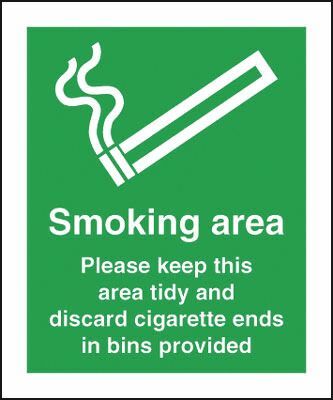 UK smoking signs - 300 x 500 mm smoking area sign 1.2 mm rigid plastic signs with self adhesive backing. 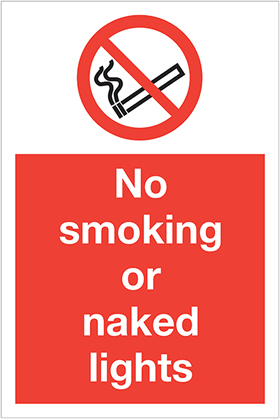 UK smoking signs 250 x 350 mm no smoking no naked light 1.2 mm rigid plastic signs with s/a backing. UK smoking signs - 250 x 350 mm no smoking no naked light 1.2 mm rigid plastic signs with self adhesive backing. UK smoking signs 400 x 300 mm no smoking no naked light 1.2 mm rigid plastic signs with s/a backing. UK smoking signs - 400 x 300 mm no smoking no naked light 1.2 mm rigid plastic signs with self adhesive backing. UK smoking signs 400 x 300 mm smoking area signs please keep this 1.2 mm rigid plastic signs with s/a backing. 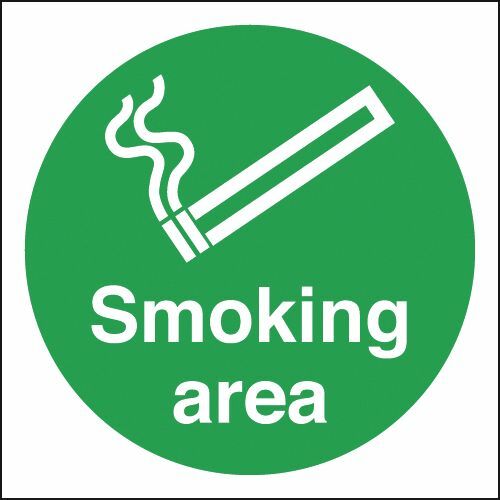 UK smoking signs - 400 x 300 mm smoking area signs please keep this 1.2 mm rigid plastic signs with self adhesive backing. 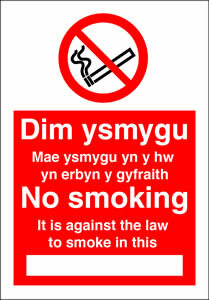 UK smoking signs 400 x 300 mm no smoking no drinking 1.2 mm rigid plastic signs with s/a backing. UK smoking signs - 400 x 300 mm no smoking no drinking 1.2 mm rigid plastic signs with self adhesive backing. UK smoking signs 450 x 450 mm no smoking no drinking 1.2 mm rigid plastic signs. 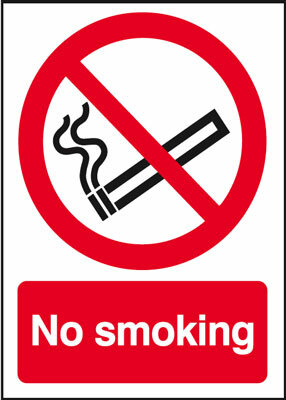 UK smoking signs - 450 x 450 mm no smoking no drinking 1.2 mm rigid plastic signs. UK smoking signs A1 smoking area sign 1.2 mm rigid plastic signs. UK smoking signs - A1 smoking area sign 1.2 mm rigid plastic signs. Multi pack safety signs & labels - A4 no smoking beyond this point self adhesive vinyl labels 6 pack. Multi pack safety signs & labels - A4 smoking area labels self adhesive vinyl labels 6 pack. Multi pack safety signs & labels - A4 no smoking company policy self adhesive vinyl labels 6 pack. Multi pack safety signs & labels - A4 no smoking it is against the law to self adhesive vinyl labels 6 pack. UK smoking signs 300 x 500 mm no smoking no naked light 1.2 mm rigid plastic signs with s/a backing. UK smoking signs - 300 x 500 mm no smoking no naked light 1.2 mm rigid plastic signs with self adhesive backing. UK smoking signs A3 smoking area sign 1.2 mm rigid plastic signs with s/a backing. UK smoking signs - A3 smoking area sign 1.2 mm rigid plastic signs with self adhesive backing. UK smoking signs A3 smoking area signs please keep this area 1.2 mm rigid plastic signs with s/a backing. 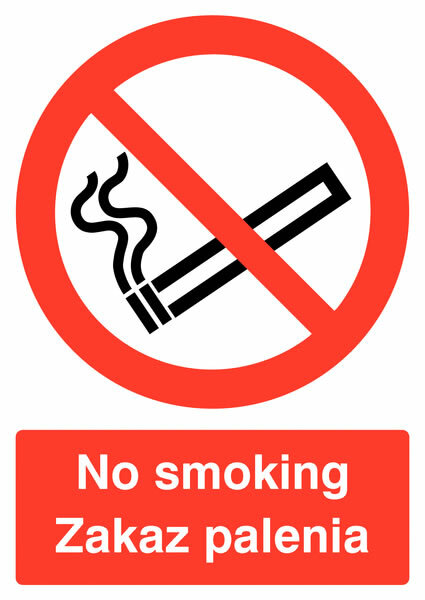 UK smoking signs - A3 smoking area signs please keep this area 1.2 mm rigid plastic signs with self adhesive backing. UK smoking signs A3 No smoking 1.2 mm rigid plastic signs with s/a backing. UK smoking signs - A3 no smoking 1.2 mm rigid plastic signs with self adhesive backing. 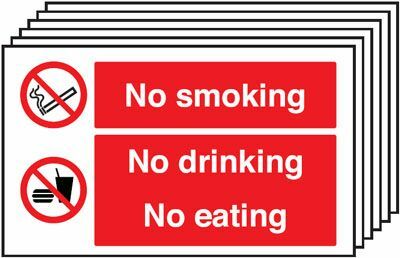 UK smoking signs A2 420 x 598 mm No smoking no drinking no eating 1.2 mm rigid plastic signs. 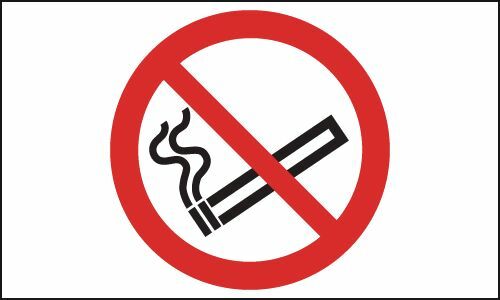 UK smoking signs - A2 no smoking no drinking no eating 1.2 mm rigid plastic signs. Multi pack safety signs & labels - A3 no smoking beyond this point self adhesive vinyl labels 6 pack. Multi pack safety signs & labels - A3 smoking area labels self adhesive vinyl labels 6 pack. Multi pack safety signs & labels - A3 no smoking it is against the law to self adhesive vinyl labels 6 pack. Multi pack safety signs & labels - A3 no smoking company policy self adhesive vinyl labels 6 pack. UK smoking signs A2 420 x 598 mm biological hazard no smoking eating 1.2 mm rigid plastic signs with s/a backing. UK smoking signs - A2 biological hazard no smoking eating 1.2 mm rigid plastic signs with self adhesive backing. UK smoking signs A2 420 x 598 mm smoking area sign 1.2 mm rigid plastic signs with s/a backing. UK smoking signs - A2 smoking area sign 1.2 mm rigid plastic signs with self adhesive backing. UK smoking signs A1 No smoking 1.2 mm rigid plastic signs. 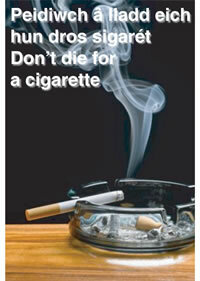 UK smoking signs - A1 no smoking 1.2 mm rigid plastic signs. Multi pack safety signs & labels - A4 no smoking self adhesive vinyl labels 6 pack. UK smoking signs 600 x 450 mm no smoking 1.2 mm rigid plastic signs with s/a backing. UK smoking signs - 600 x 450 mm no smoking 1.2 mm rigid plastic signs with self adhesive backing. UK smoking signs 450 x 600 mm smoking area sign 1.2 mm rigid plastic signs with s/a backing. 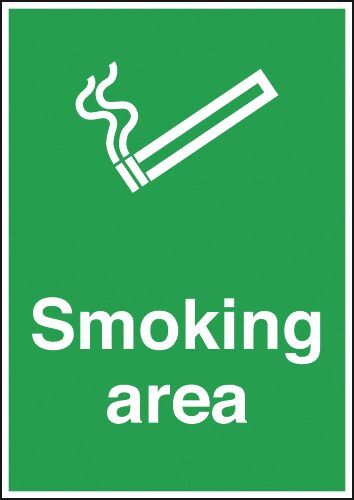 UK smoking signs - 450 x 600 mm smoking area sign 1.2 mm rigid plastic signs with self adhesive backing. UK smoking signs 600 x 450 mm smoking area sign 1.2 mm rigid plastic signs with s/a backing. 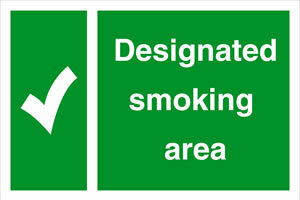 UK smoking signs - 600 x 450 mm smoking area sign 1.2 mm rigid plastic signs with self adhesive backing. UK smoking signs A3 No smoking no drinking no eating 1.2 mm rigid plastic signs with s/a backing. 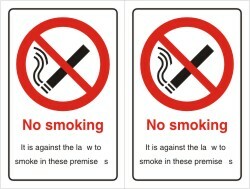 UK smoking signs - A3 no smoking no drinking no eating 1.2 mm rigid plastic signs with self adhesive backing. 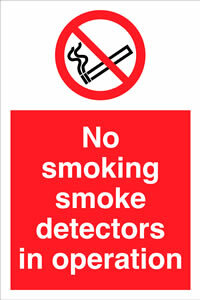 UK smoking signs 450 x 450 mm no smoking no drinking 1.2 mm rigid plastic signs with s/a backing. 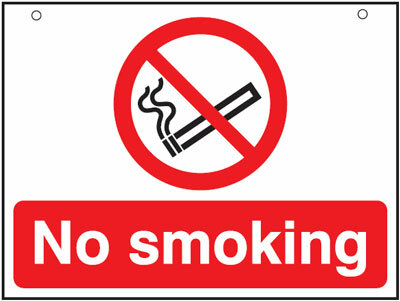 UK smoking signs - 450 x 450 mm no smoking no drinking 1.2 mm rigid plastic signs with self adhesive backing. 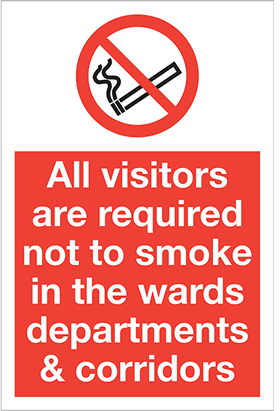 UK smoking signs 450 x 450 mm no smoking 1.2 mm rigid plastic signs with s/a backing. 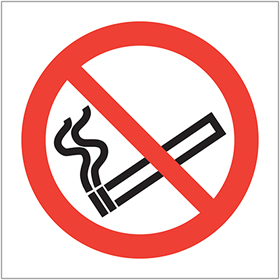 UK smoking signs - 450 x 450 mm no smoking 1.2 mm rigid plastic signs with self adhesive backing. Multi pack safety signs & labels - A3 no smoking self adhesive vinyl labels 6 pack. UK smoking signs A2 420 x 598 mm petroleum mixture no smoking no 1.2 mm rigid plastic signs with s/a backing. UK smoking signs - A2 petroleum mixture no smoking no 1.2 mm rigid plastic signs with self adhesive backing. UK smoking signs A2 420 x 598 mm No smoking no drinking no eating 1.2 mm rigid plastic signs with s/a backing. 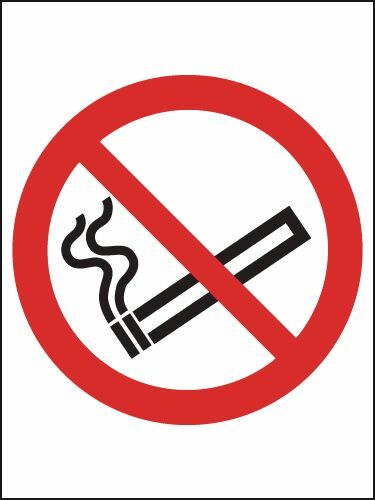 UK smoking signs - A2 no smoking no drinking no eating 1.2 mm rigid plastic signs with self adhesive backing. UK smoking signs A2 420 x 598 mm No smoking 1.2 mm rigid plastic signs with s/a backing. UK smoking signs - A2 no smoking 1.2 mm rigid plastic signs with self adhesive backing. UK smoking signs 400 x 600 mm petroleum mixture no smoking 1.2 mm rigid plastic signs with s/a backing. 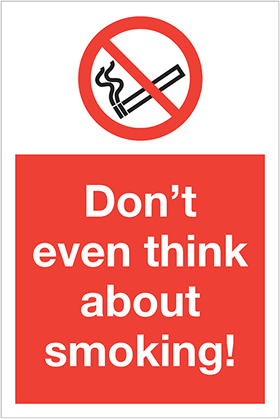 UK smoking signs - 400 x 600 mm petroleum mixture no smoking 1.2 mm rigid plastic signs with self adhesive backing. UK smoking signs 600 x 450 mm petroleum mixture no smoking 1.2 mm rigid plastic signs with s/a backing. 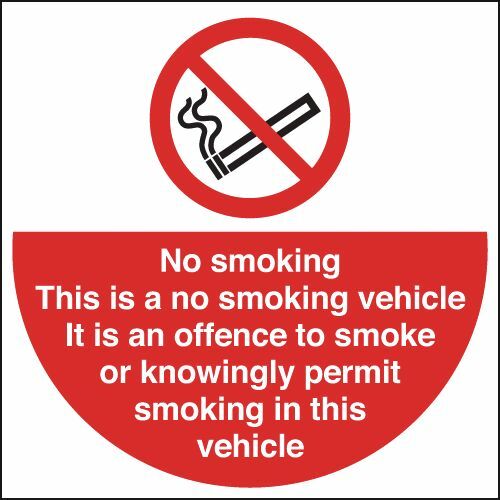 UK smoking signs - 600 x 450 mm petroleum mixture no smoking 1.2 mm rigid plastic signs with self adhesive backing. UK smoking signs 450 x 600 mm no smoking 1.2 mm rigid plastic signs with s/a backing. 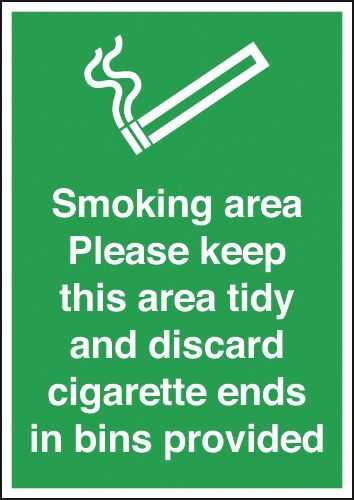 UK smoking signs - 450 x 600 mm no smoking 1.2 mm rigid plastic signs with self adhesive backing. Multi pack safety signs & labels - A4 smoking area sign 1.2 mm rigid plastic signs 6 pack. 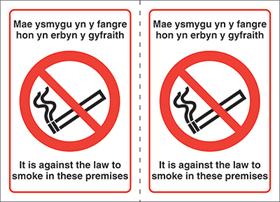 Multi pack safety signs & labels - A4 no smoking it is against the law to 1.2 mm rigid plastic signs 6 pack. UK smoking signs 450 x 600 mm no smoking 3mm foam board signs. 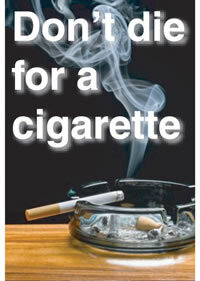 UK smoking signs - 450 x 600 mm no smoking 3 mm foam board signs. 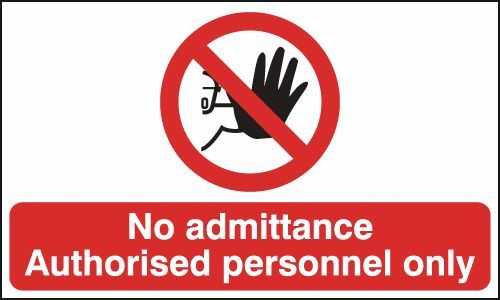 Multi pack safety signs & labels - 300 x 500 mm no smoking no drinking self adhesive vinyl labels 6 pack. UK smoking signs A1 No smoking no drinking no eating 1.2 mm rigid plastic signs. 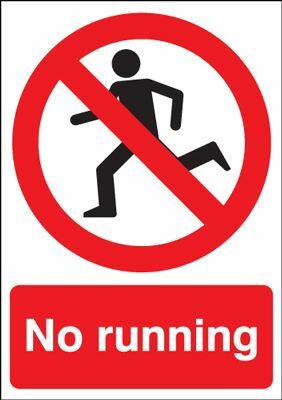 UK smoking signs - A1 no smoking no drinking no eating 1.2 mm rigid plastic signs. 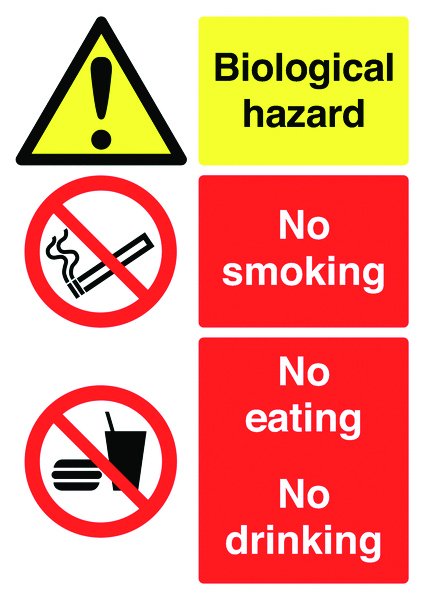 Multi pack safety signs & labels - A4 no smoking company policy 1.2 mm rigid plastic signs 6 pack. Multi pack safety signs & labels - A3 no smoking it is against the law to 1.2 mm rigid plastic signs 6 pack. 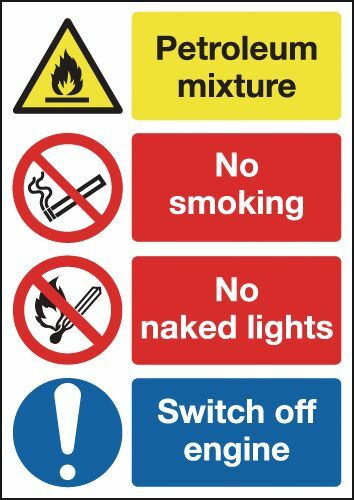 Multi pack safety signs & labels - A3 no smoking company policy 1.2 mm rigid plastic signs 6 pack. Multi pack safety signs & labels - A3 smoking area sign 1.2 mm rigid plastic signs 6 pack. Multi pack safety signs & labels - A3 no smoking beyond this point 1.2 mm rigid plastic signs 6 pack. Multi pack safety signs & labels - A4 no smoking beyond this point 1.2 mm rigid plastic signs 6 pack. Multi pack safety signs & labels - A4 no smoking 1.2 mm rigid plastic signs 6 pack. UK smoking signs A1 No smoking no drinking no eating 1.2 mm rigid plastic signs with s/a backing. UK smoking signs - A1 no smoking no drinking no eating 1.2 mm rigid plastic signs with self adhesive backing. UK smoking signs A1 No smoking 1.2 mm rigid plastic signs with s/a backing. 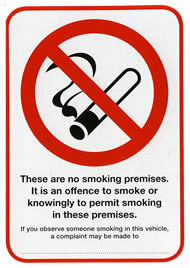 UK smoking signs - A1 no smoking 1.2 mm rigid plastic signs with self adhesive backing. 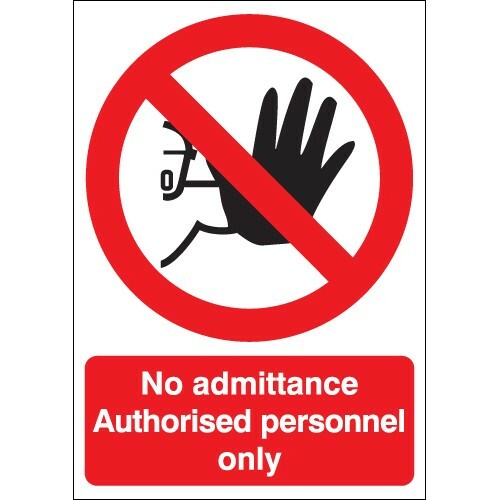 Multi pack safety signs & labels - 300 x 500 mm no smoking no drinking 1.2 mm rigid plastic signs 6 pack. Multi pack safety signs & labels - A3 no smoking 1.2 mm rigid plastic signs 6 pack. UK smoking signs A4 No smoking 1.2 mm rigid plastic signs with s/a backing. 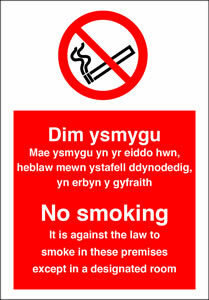 UK smoking signs - A4 no smoking 1.2 mm rigid plastic signs with self adhesive backing. UK smoking signs A4 smoking area sign 1.2 mm rigid plastic signs with s/a backing. UK smoking signs - A4 smoking area sign 1.2 mm rigid plastic signs with self adhesive backing. Multi pack smoking signs & labels - A4 smoking area sign 1.2 mm rigid plastic signs with self adhesive backing labels 6 pack. Multi pack smoking signs & labels - A4 no smoking beyond this point 1.2 mm rigid plastic signs with self adhesive backing labels 6 pack. UK smoking signs A4 smoking area signs please keep this area 1.2 mm rigid plastic signs with s/a backing. UK smoking signs - A4 smoking area signs please keep this area 1.2 mm rigid plastic signs with self adhesive backing. Multi pack smoking signs & labels - A4 no smoking company policy 1.2 mm rigid plastic signs with self adhesive backing labels 6 pack. 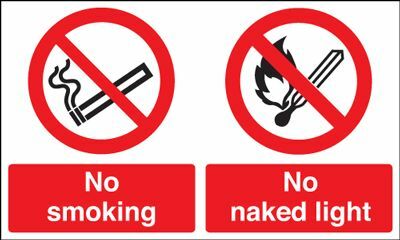 Multi pack smoking signs & labels - A4 no smoking it is against the law to 1.2 mm rigid plastic signs with self adhesive backing labels 6 pack. UK smoking signs A4 No smoking no drinking no eating 1.2 mm rigid plastic signs with s/a backing. 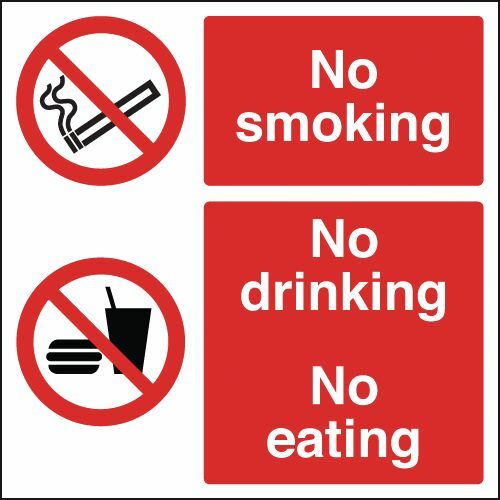 UK smoking signs - A4 no smoking no drinking no eating 1.2 mm rigid plastic signs with self adhesive backing. Multi pack smoking signs & labels - A4 no smoking 1.2 mm rigid plastic signs with self adhesive backing labels 6 pack.